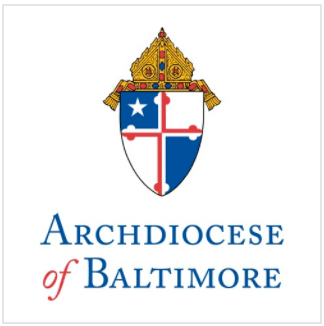 More than 1400 Catholic young people will join Archbishop Edwin F. O’Brien, Archbishop of Baltimore, Auxiliary Bishops Mitchell T. Rozanski and Denis J. Madden in an annual pilgrimage through Baltimore on Saturday, March 27th, marking the largest turnout in the event’s 17-year history. The annual pilgrimage marks the start of Holy Week. The journey will begin at 11:15 a.m. with a rally at St. Mary’s Spiritual Center on Paca Street. The procession will depart at 12:45 p.m. with the pilgrims carrying a 10-foot wooden cross along a three-mile route concluding at St. Casimir Catholic Church in Canton. Due to outstanding numbers, again this year the pilgrimage will subdivide into two groups so pilgrims have the opportunity to pray in the Baltimore Basilica, America’s First Cathedral. 11:15 Registration opens and the Sacrament of Reconciliation is available (St. Mary’s Spiritual Center).